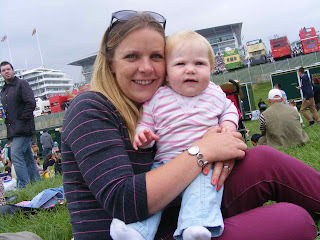 Here's Becky at Epsom race course with her daughter, Hazel. 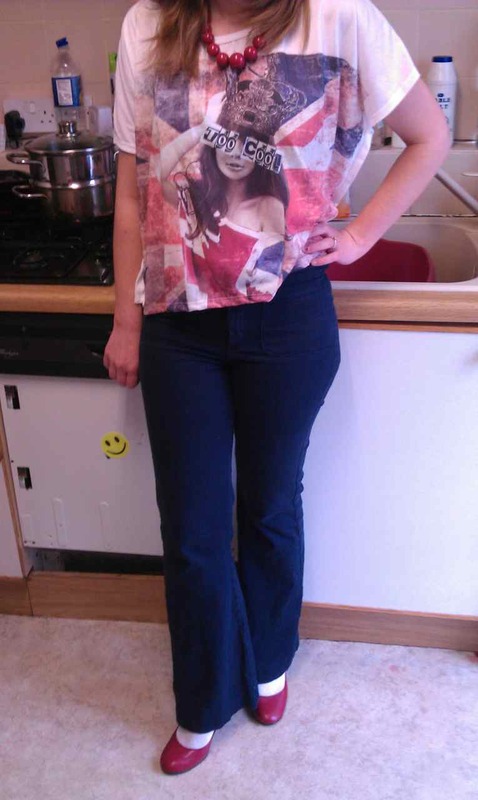 Becky's jeans are from New Look. Clare (Blogger @ Belfast Mummy) managed to find some sunshine with her little boy Raffy. 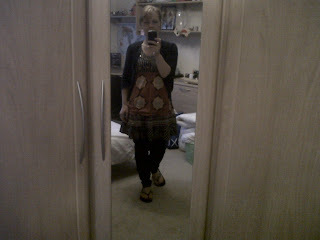 She's wearing a Whistles breton dress - perfect for the beach! Next, it's Claire (my regular contributor) dressed up warmly for an Elton John concert in her Warehouse Butterfly Scarf. 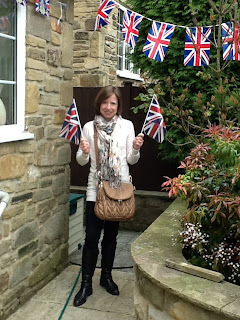 Note the long boots - it was a weekend of weather contrasts! 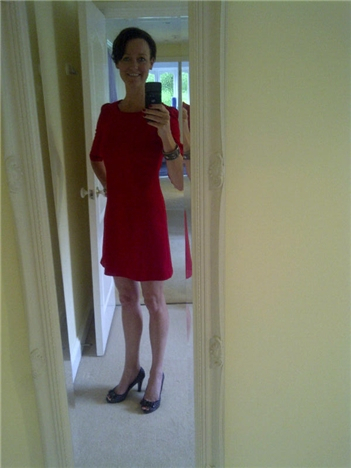 Then we have Fiona from Avenue 57. She definitely got into the spirit of the weekend sporting Red, White and Blue dresses - all in one day! 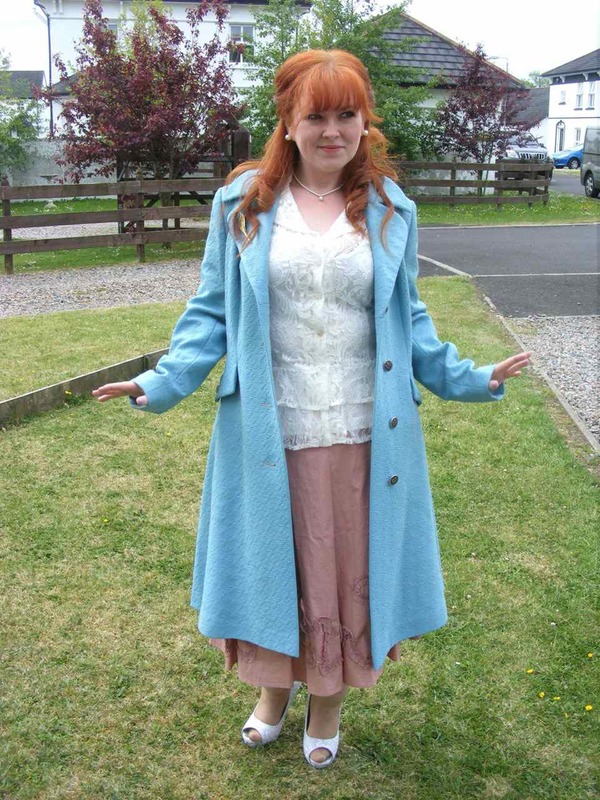 Next, it's the lovely Gina who lives near the sea in Bangor, Co. Down. 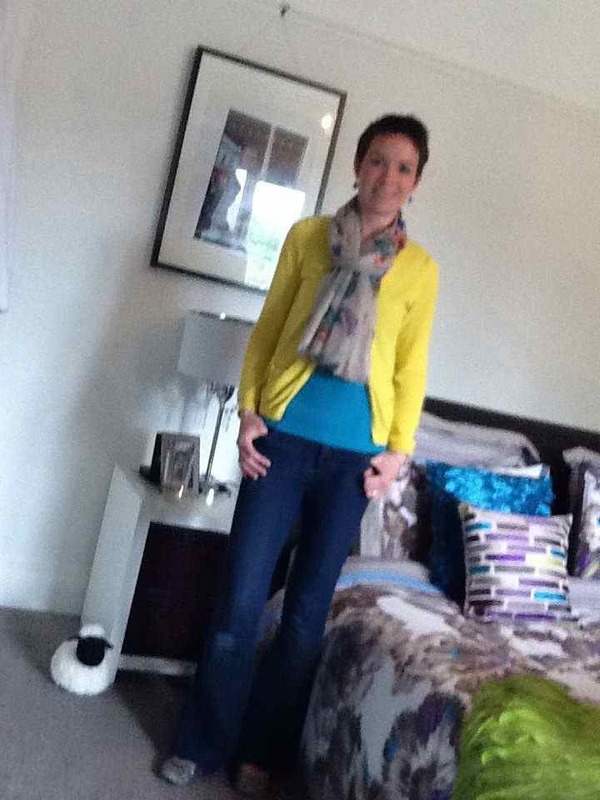 Gina was inspired by the last Styled By You to buy two pairs of coloured skinny jeans (similar on link). 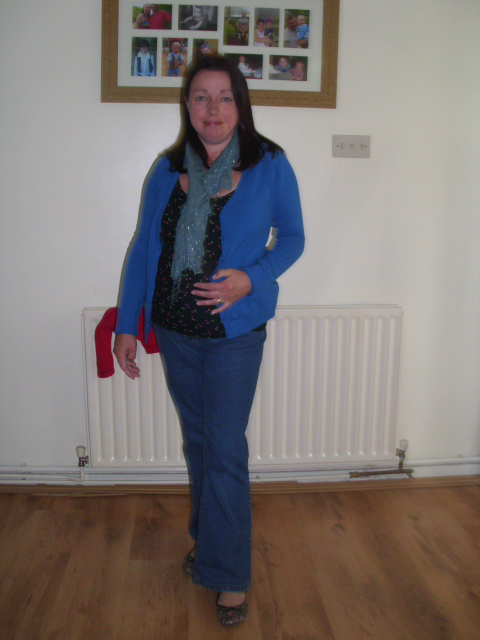 Helen, also inspired by the last Styled by You, sent me two pictures. 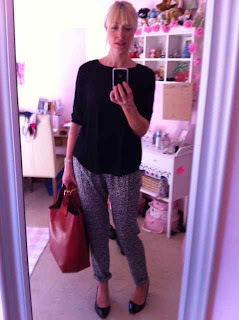 One of her in her grey patterned trousers from Warehouse (with her Zara Shopper!) 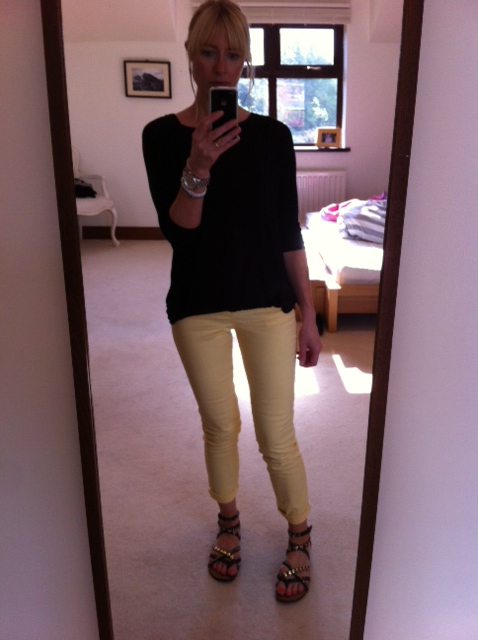 and the second picture shows her new yellow pastel jeans from Next. Check out those fab Steve Madden sandals! Fashion blogger, Joanna from Poppy's style looks amazing in this Zara blazer, Diesel t-shirt (similar) and wedges from DSW in the States - I want a pair!! 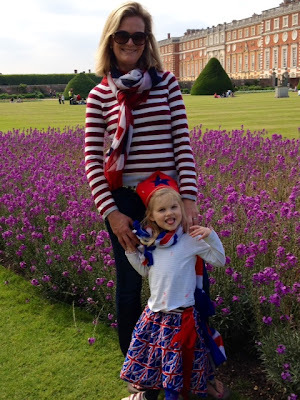 Loving the photo of Judi with her daughter at Hampton Court Palace. They attended the tea party there - how gorgeous does it look? 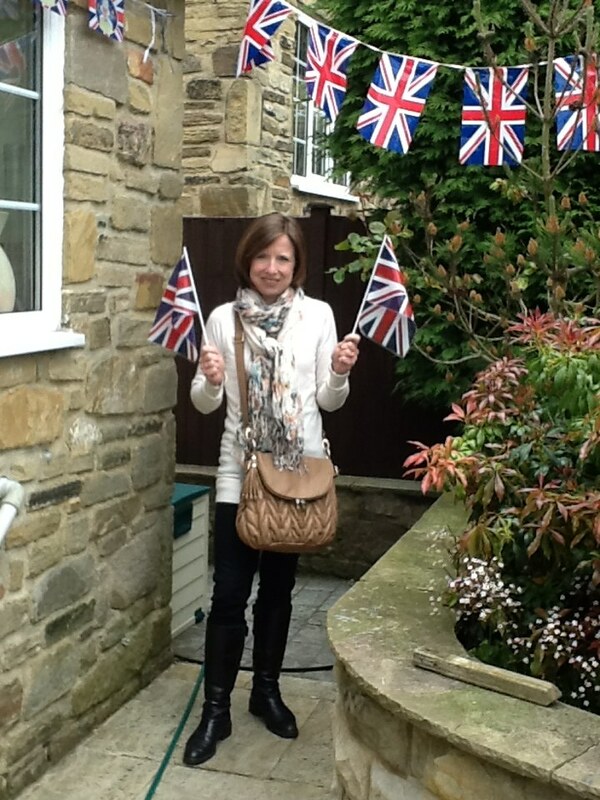 Loving Judi's patriotic scarf (reminds me of the Scarf Envy Jubilee one). 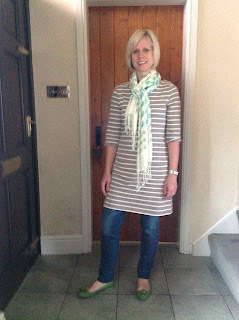 Kareema wore this lovely tunic for her family celebrations over the weekend..
And Karyn is looking colourful in her yellow cardigan from Next, bootcut jeans from A-Wear and green vest top & grey leopard pumps both from New Look, while Lindsey was wearing my favourite Boden Tunic top in taupe, Gap skinny jeans and Marco Tozzi green pumps (similar on link). This is a great picture of Nic having a dancing competition with her daughter - another blog follower who had lots of great family time over the weekend..
Meet Sera, (blogger at The Agoraphobic Fashionista) who was also wearing some Kaleidoscope over the weekend. And Shauna is wearing a jacket, tunic and leggings from Joe Browns and sparkly sandals from Next. 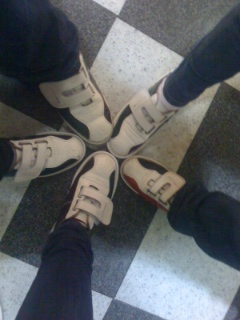 Finally, check out these stylish bowling shoes! 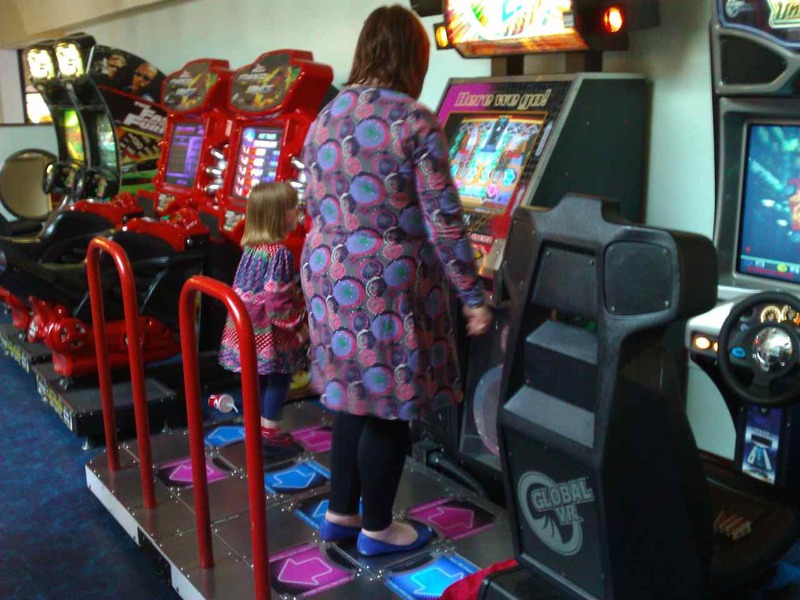 Thanks Susan - looks like you and your family had a great weekend too! 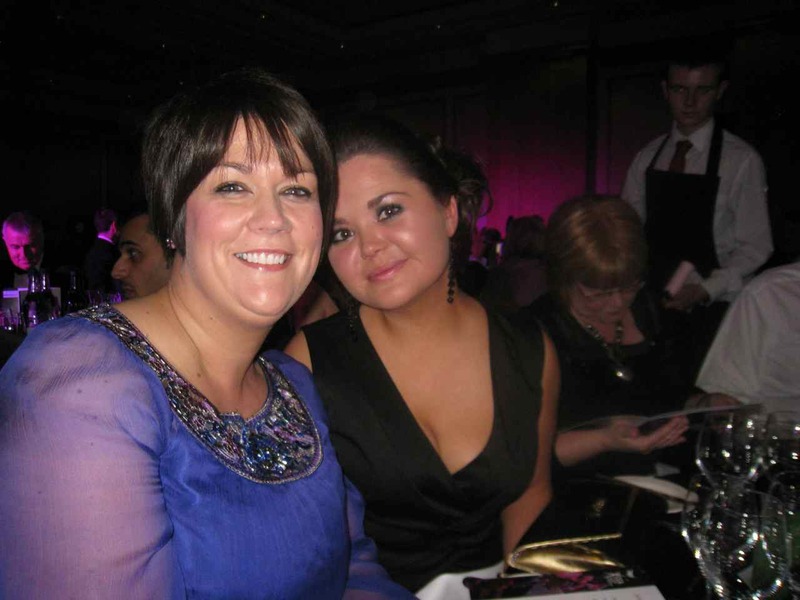 Well done Cheryl!! 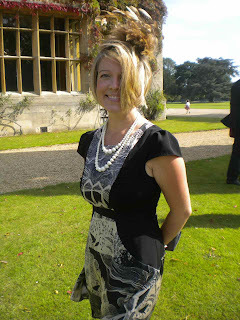 Please email me your address so I can send you your new scarf. 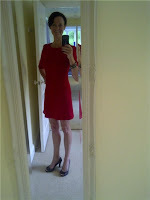 Lovely post and thanks for the mention - great competition:) Some gorgeous ladies in this post all looking fabulous! Everyone looks fab! 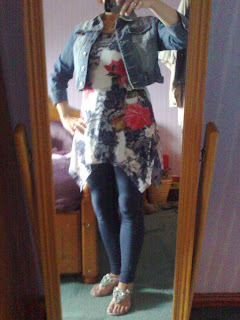 I should have sent one in, wore my new dress to a wedding sunday night but for some reason thought this was just about Jubilee inspired outfits doh! Fabulous round-up. 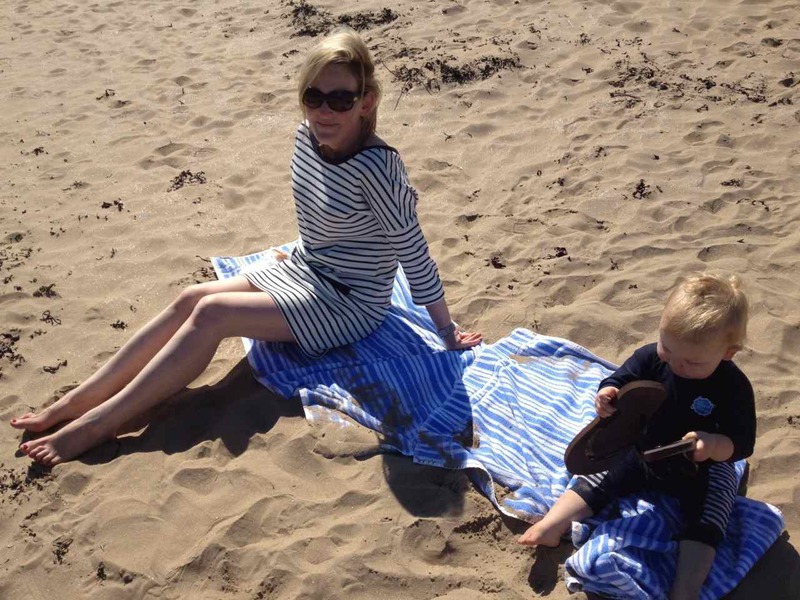 I am a sucker for stripes so loving Clare's dress on the beach! 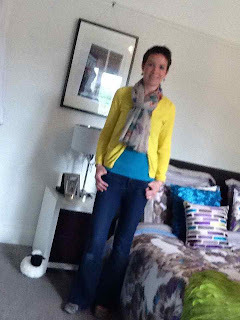 Loving Poppys-Style bright coloured jacket! Your readers really are a stylish bunch! Its as well the winner is drawn from a hat, you could never pick between them all.